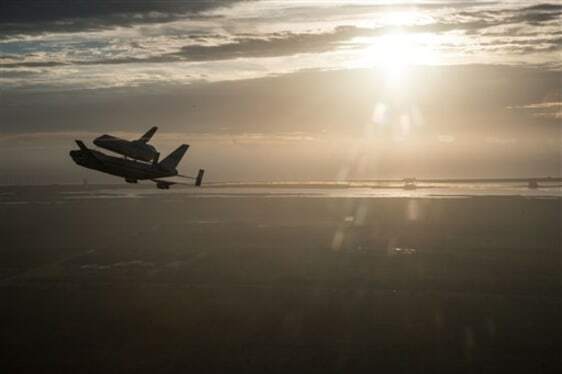 Space shuttle Endeavour is ferried by NASA's Shuttle Carrier Aircraft over the Kennedy Space Center in the early morning hours of Wednesday as it departs for California. The ferry flight ends in Los Angeles Friday. This is the last flight for a space shuttle.